Houstonians looking to burn some calories after the holiday season are in luck — a new gym that claims participants burn roughly 1,000 calories in a one-hour class is opening in the Heights. Sweat 1000, or Specialized Weight Endurance Athletic Training 1000, is debuting its first location outside of South Africa in Houston, according to a press release. Located at 725 W. 18th St., the gym is expected to open in January. 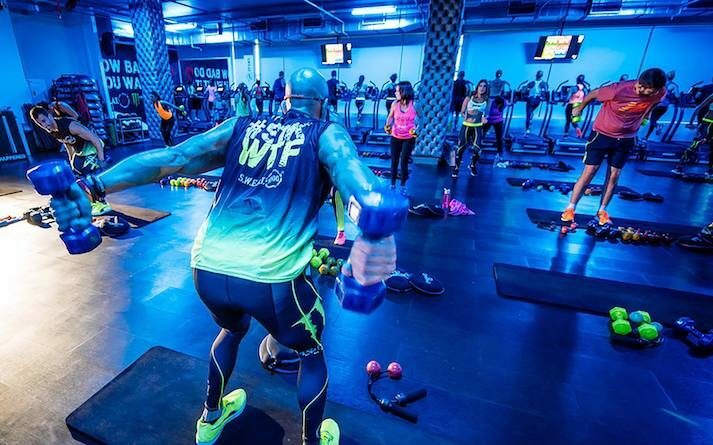 Houstonians Ana Barron and her husband, Jordan Strouse, partnered with Sweat 1000 founders Andrew Rothschild and Paul Rothschild of Cape Town to bring the concept to the Bayou City, per the release. Barron and Strouse first experienced Sweat 1000 while living in Cape Town in 2015 and wanted to bring the gym to Houston when they returned to the city, according to Houston CityBook. Sweat 1000 has three other locations in Johannesburg and Cape Town and has clients that include TV stars, Olympians, Sports Illustrated swimsuit models and more, per the release. But the workouts are adjustable to any fitness level, Strouse said. The one-hour workouts integrate interval training, functional training, core stability work, athletic training and agility to help participants burn about 1,000 in each session, per the release. A single class is $30, but the gym offers several packages, including a $200-per-month founders’ special in which a guest can take as many classes as he or she wants, per the Sweat 1000 website. There are no joining fees, contracts or memberships.